James Boggs, born in Marion Junction, never dreamed of becoming President or a locomotive engineer. He grew up in a world where the white folks are gentlemen by day and Ku Klux Klanners at night. Marion Junction is in Dallas County where as late as 1963, although African-Americans made up over 57 percent of the total county population of 57,000, only 130 were registered voters. After graduating from Dunbar High School in Bessemer, Alabama, in 1937, Boggs took the first freight train north, bumming his way through the western part of the country, working in the hop fields of the state of Washington, cutting ice in Minnesota, and finally ending up in Detroit where he worked on WPA until the Second World War gave him a chance to enter the Chrysler auto plant. In 1963, drawing on his own experience as a factory worker and radical militant, he wrote these pages. 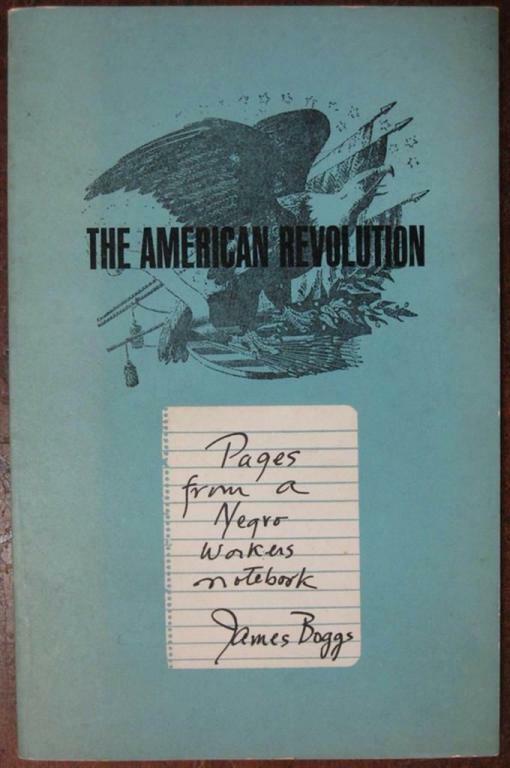 Boggs offers both a keen analysis of U.S. society and a passionate call for revolutionary struggle. He sees the growing trend toward automation, the decline of organized labor, the expansion of imperialism, and the deepening of racial strife as fundamentally rooted in the contradictions of U.S. capitalism. And he concludes that the only way forward is a new American revolution—one that, from his perspective writing in the 1960s, appeared to have already begun.